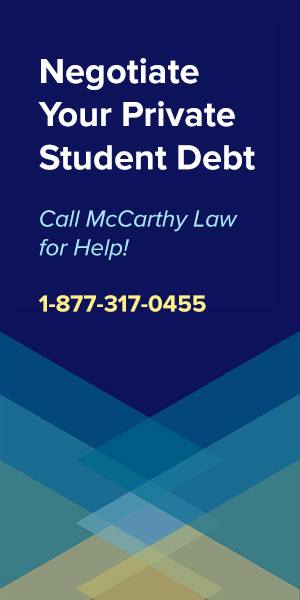 NEWS ALERT: On Thursday, December 13th 2018 the Department of Education announced that they’re approving $150,000,000 in Borrower’s Defense to Repayment Discharges, including discharges for people who attended Westwood College. If you’ve already submitted your Westwood BDAR application, then there’s a great chance you’ll receive forgiveness during this wave of approvals, so be sure to monitor your email closely, as DOE started issuing alerts notifying borrowers of approvals on Friday December 14th. And if you haven’t already submitted your Westwood Borrowers Defense application, then I’d suggest getting it in TODAY so that you stand a chance of being included in this round of approvals! 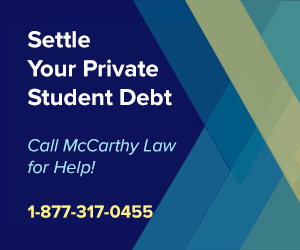 Thanks to a massive lawsuit filed against Westwood College, student loan forgiveness benefits are widely available in 2019, via two excellent discharge programs: first, the Borrower’s Defense to Repayment Program, which lets you challenge the legal validity of your loans, and second, the Closed School Student Loan Discharge Program, which let’s you qualify for complete forgiveness if you were still enrolled as a student around the time that the college shut down. 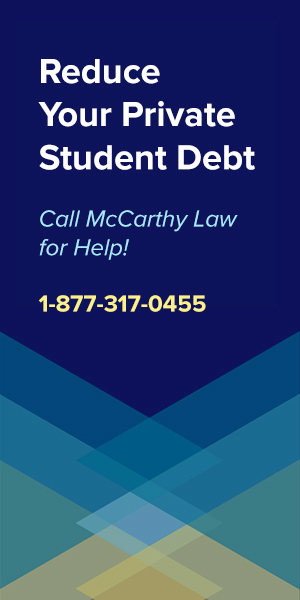 The rest of this post explains how Westwood College students can use the recent lawsuits to qualify for student loan discharges, going through all the details about who qualifies for the benefits, how you can apply for them, and what you need to do to increase the odds that your application gets approved. If you’re struggling to pay back your student loans, then you’ve landed on the right page, because I’m going to show you exactly what you need to do to qualify for a Westwood College loan discharge. Let me give you a quick bit of advice – while I think it’s a great idea to apply for a BDAR or Closed School Discharge, you need to be aware that the Department of Education has been flooded with applications, so you could end up waiting over 2 years to get a response from them. Sitting on your hands while waiting for them to tell you whether or not your application has been approved is NOT the best way to approach dealing with your student loans, so while that’s being processed, you’re going to need to look into alternative solutions as well. The first thing you’re going to need to do is determine which of these paths will work best for you, because you can only do one of them at a time, and to save yourself both time and money, you’ll want to try the one that’s got the best chance at wiping out your loans first. Let’s look at these two options in detail so you can figure out which one is going to be your best shot. The Borrower’s Defense to Repayment Program lets you get rid of student loans taken out to attend a school that did something illegal, like fraudulently misrepresenting their services, or violating a state law, or doing something else that they shouldn’t have done. It’s well-known that Westwood College violated all sorts of laws, including using “deceptive business practices” to convince students to sign up for their higher education programs, so it shouldn’t even be difficult to get your Borrower’s Defense to Repayment Application approved, as long as you fill out the paperwork correctly. And thousands of Westwood College students have already had success discharging their outstanding loans using Borrower’s Defense to Repayment, so there’s a precedent in place which you can take advantage of by filing your own claim, and accusing the school of defrauding you with false advertising and false claims. The best way to make it clear that you feel you were defrauded by Westwood is to link your claim to one of the very public, very obvious admissions of guilt that Westwood has made, like the $4.5 million dollar settlement they reached wit the Colorado Attorney General for “deceptive business practices”. And the great news about this whole process is that if you can fill out your Borrower’s Defense application correctly, and if the Department of Education continues to process them properly (Betsy DeVos is trying to stop that…), then you’ll qualify for a complete and total discharge of not only the money you still owe Westwood, but also a refund of any money you’ve already paid them! When you file a Borrower’s Defense Application, you have to make it absolutely clear that you’re accusing Westwood College of doing something illegal which directly caused you to take loans out to attend their school. Your application has to make it totally clear to the Department of Education employee who reviews it that you would not have borrowed the money to attend the school if you hadn’t experienced their fraudulent activity, as that was the sole reason for your decision to enroll in their courses. Your claim will have to state clearly that the school lied to you about something, or tricked you about something, or made a false promise about something, and that it was these lies, tricks or false promises which convinced you that it was a good idea to borrower money to pay for their higher education courses. The nice thing about Westwood is that it’s really easy to prove that they did something illegal to you, since they settled with the Colorado Attorney General, and basically admitted their guilt in violating the Consumer Protection Act by misleading prospective students, engaging in deceptive advertising practices, and failing to comply with the state of Colorado’s consumer lending laws. The most important part of the Borrower’s Defense to Repayment application is being able to point to some specific activity that the school did to defraud you, so if you can write about some claim the enrollment advisers made, or talk about some advertisement that you saw which was patently untrue, then you will be able to provide the evidence the Department of Education needs to rule in your favor and discharge your loans. Read through the sections below to find out about the types of specific things Westwood did to defraud potential students, and if any of these apply to you directly, then you can use them as the reasons that your own Westwood loans loans should be discharged. In a Settlement with the State of Colorado, Westwood was accused of (and basically admitted to) committing all sorts of illegal activity, like failing to be “honest about their track records and the costs of their degrees”, which is a big deal. This basically accounts to false advertising, or making false claims, but you can’t just write that Westwood “committed false advertising” in your Borrower’s Defense application, because you need to point to some specific activity that the school did, and which they did to you, like the fact that they lied to you about job placement rates, or the total costs of their degree programs. Below you’ll find a list of all the different things that the Colorado lawsuit accused Westwood of doing, and if you experienced any of these activities firsthand, then you can use them to qualify for a discharge by including them in your Borrower’s Defense application. Here’s a complete list of the things Westwood was accused of doing, as reported in the findings of the $4.5 million dollar settlement with the state of Colorado. If you experienced any of this illegal activity, and the activity was what made you decide to take a loan out to attend Westwood, then you can use this as the reason your loan should be discharged. Remember that your Borrower’s Defense to Repayment Application is a legally-binding document, meaning that you have to tell the truth about what you experienced, and you can’t simply say that Westwood did any of this stuff to you if you didn’t actually experience it, or claim that you took your loans out because of these activities, if that isn’t the actual truth. If you choose to use the claim that Westwood didn’t provide you with accurate job-placement rates, then you can add a little bit of flavor text by explaining that you found out Westwood was inflating their job-placement rates by including any graduates who were doing “freelance” or “self-employed” work for as little as a few days as having found a job in their field. If you choose to use the claim that Westwood lied about the number of graduates who found work in their respective areas of study, then you can spice up your application by explaining that you found out that Westwood included graduates who had any sort of job placement at all (like working at McDonald’s) as counting towards graduates who found a job in their chosen field. One more thing that Westwood apparently did, which you can’t necessarily use for your Borrower’s Defense application, but which I want to point out so that you understand just how sleazy this school was, and so you don’t feel bad about requesting that your loans for their services get wiped out, is that they were paying admissions representatives more money for bringing in more enrollments. And while that may not sound like such a bad thing (after all, tons of sales-type jobs have commision-based commission), these sorts of bonuses and pay raises for signing up more students encouraged their admissions reps to do all sorts of terrible things like lie to potential students, make false promises, misrepresent the school’s costs, etc. And since no one was monitoring that behavior, and was actually encouraging it instead of stamping it out, things got wildly out of control, which is why anyone who attended Westwood should seriously consider getting their loans discharged via a Borrower’s Defense claim. You need to file your Borrower’s Defense Claim at the official website for the Borrower’s Defense to Repayment Program, which is run by the United States Government, and which you can access here: https://borrowerdischarge.ed.gov/FormWizard/BDU/BDULanding.aspx. 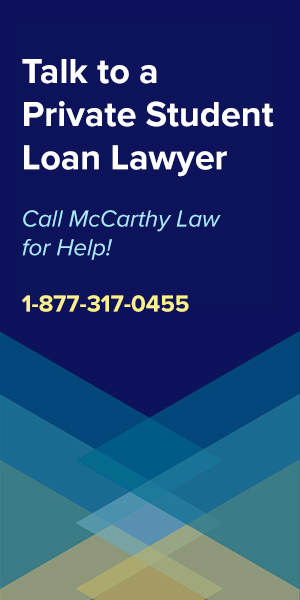 Do NOT file a Borrower’s Defense Claim with ANYONE ELSE, including any sort of debt resolution service who claims they’ll take care of it all for you, because that could be a scammer attempting to trick you into providing all your sensitive information to them so they can steal money or steal your identity. 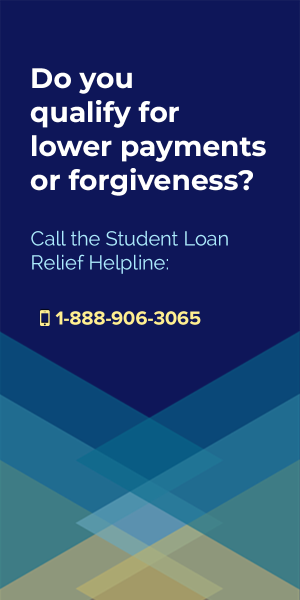 If you need to get help with your Borrower’s Defense Application, then please, do not simply Google around looking for assistance, but call the Student Loan Relief Helpline at 1-888-906-3065. 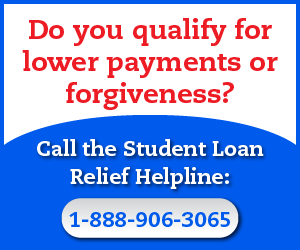 I mentioned this above, but the Student Loan Relief Helpline is the only company I trust to actually help their callers, and they’re the only accredited debt resolution company who deals with both Federal and Private loans. Unfortunately, that’s the worst part of the Borrower’s Defense process, because it’s been taking over a year for some of my readers to hear back from the Department of Education on the status of their application. Also, Betsy DeVos, the current Secretary of Education, is attempting to kill off the Borrower’s Defense program so that she can protect her evil friends at the For-Profit Colleges and Student Loan Servicing Companies making a killing on all this outstanding fraudulent debt, but so far, she hasn’t managed to do that. However, I would advise that you get your application in immediately, because Betsy isn’t likely to give up, and no one knows what President Trump’s Student Loan Program is going to look like yet, but there’s a decent chance that he’ll try to stop Borrower’s Defense too (after all, he appointed Betsy to her position in the first place…). Get you application in now (or at least soon), so that if the program is killed off, you’ll have a chance of being grandfathered into it, and will still receive the forgiveness you deserve. 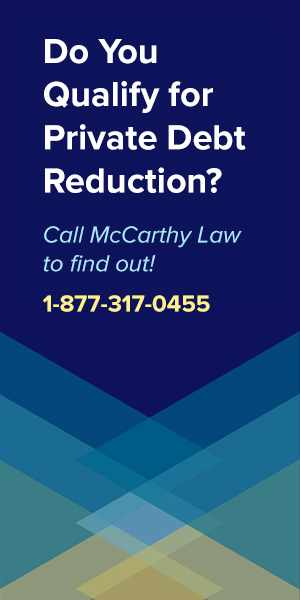 If you don’t think you were defrauded, or don’t want to use the Borrower’s Defense to Repayment Program to get rid of your Westwood loans, then good news is that you’ve got another possible route to forgiveness. The Closed School Loan Discharge Program was created to help students who weren’t able to finish their degree programs because the school they were attending closed down before they completed graduation requirements, and it applies to any Westwood students who were either still actively enrolled when Westwood shut it’s doors, or who withdrew from the school no more than 120 days before they closed. Which brings up an important point… when did Westwood College actually close down? Westwood officially shut down on March 8th, 2016 which means that you’ll only qualify for a Westwood Closed School Student Loan Discharge if you were still enrolled as a student at Westwood on March 8th, 2016, or if you were attending Westwood no more than 120 days prior to that date. I go through the Closed School Loan Discharge Program in exhausting detail on my page about it (which you can find here), but I’ll go through the basics here as well. If you’re sure that you were attending Westwood at the time they shut down, or that you were enrolled 120 days before the closure, then you’ve got a shot at a discharge, but those aren’t the only conditions you need to meet to qualify. You’ll also have to make sure that you are NOT attending some other similar educational program at another school, after having transferred your Westwood credits there, and you can’t have completed all the required coursework for your Westwood program, but simply hadn’t received the official diploma by the time the school shut. As long as you satisfy those conditions, then you’ve got a really, really good chance at getting the entire balance of your Westwood loans forgiven. 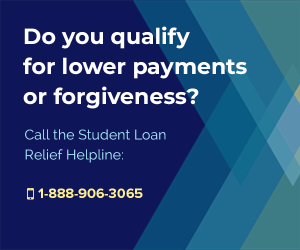 Just like Borrower’s Defense, the Closed School Loan Discharge Program has an official Application that you’ll need to fill out, then provide to your loan servicer, in order to get your loans forgiven. 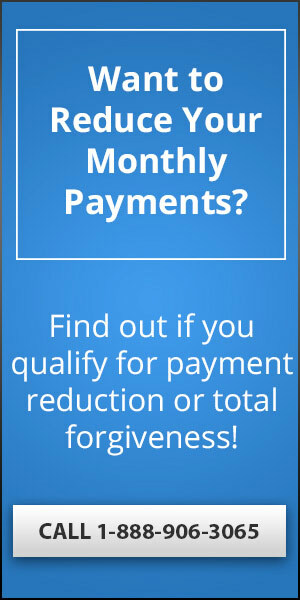 Once you’ve completed the Application, you need to turn it in to whoever services your loans (the people you send your monthly payments to), and then you’ll have to follow whatever process they have in place to seal the deal and get your loan forgiven. Every servicing company is going to have a slightly different process that you need to complete, so the only way to find out what’s required is to contact your loan servicer ask them what all they need. Honestly, it kind of depends on your situation. Both programs help by getting rid of your outstanding loans (whatever’s left), as well as offering reimbursements (refunds for money already paid back), so there’s really no big financial difference between the two benefits. However, I would probably pursue the Closed School Loan Discharge before doing Borrower’s Defense, just because Borrower’s Defense applications are taking so long to get processed, and I think Closed School Discharges are way easier to get processed and approved. It’s really up to you though. Unfortunately, yes, because the IRS never lets anything slide, and their rules for Student Loan Forgiveness and Taxes require that you report any forgiven debt as taxable income. That’s a big deal too, because it means that your tax bill will be way bigger than normal during the year that you receive loan forgiveness, and it’ll mean that instead of paying off your loans in small monthly payments, you’re going to need to make one big payment to the IRS. I go through all the details of how this taxable income thing works on my page about Student Loan Forgiveness and Taxable Income Laws here, but the gist is that you’re going to be paying income taxes on however much money is forgiven. As a quick example, if you pay 30% income taxes, and you have $10,000 in loans forgiven, then you’ll owe the IRS $3,000. If you pay 30% income taxes, and you have $100,000 in loans forgiven, then you’d owe the IRS $30,000, and remember, this is all due at once. I’m so concerned that these stupid rules for forgiveness and taxable income are going to destroy millions of Americans financial lives, which is why I’ve set up a new website called Forget Tax Debt, where I offer people advice on getting rid of their outstanding IRS tax debt. If you’ve got tax problems, and need help figuring out doing things like Paying IRS Back Taxes, Settling your Debt with the IRS, signing up for the IRS Fresh Start Program, or applying for IRS Loan Forgiveness, then you need to visit Forget Tax Debt today! 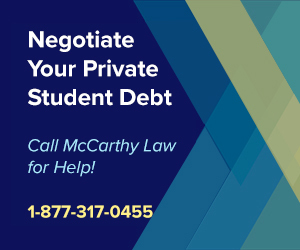 I’ve created Guides to help you understand every part of the process of dealing with student loan debt, so please be sure to check out the other pages of my site for insights on all of the other programs offering debt relief benefits. Remember that it’s very, very dangerous to take student loan advice from ANYONE other than an official US Government entity, and that you’ll need to treat all advice provided with a healthy dose of suspicion. Just to be perfectly clear, I am NOT a representative of the US Government, or the Department of Education, and I am not connected to them in any way, so please do not get the wrong idea about that! Even though I’m not an official representative for any of these programs, I am happy to help you with any questions you might have, so if you’re having trouble understanding any of this, then please feel free to post your questions in the Comments section below. As you can imagine, it takes several hours of researching and writing to produce a single post like this, and nobody pays me to do that, so the only way I can get any satisfaction from the process is for people like you to share a link to my site with your friends and family members. If you found this page to be useful, then please post a link to it on Facebook, Twitter, or Reddit, or email it to anyone you think would also be helped by the information. I spend a lot of time writing this stuff up, answering questions, and ensuring that my information is up to date, and I can only keep doing that if more people like you end up here reading that content, so please do your part to help by spreading this info anywhere that you think it’ll help. Thank you for visiting, and thanks so much for your support! I really do appreciate it! I took my son to Westwood College in Upland for the Technology program, he was just 19 at the time and was super excited, the admissions clerk explained the program, Job placement guarantees and all the perks that they provide which sounded great, they explained the cost would be $25K for the year, after much encouragement i enrolled him, happy to see him excited to get in the field knowing he would excel, so during the process they suggested i do the parent loan of $20K and a $5K student loan for him, he did wonderful at first but after 6 months he became very frustrated, teachers werent teaching telling them they will pass just for showing up, pretty soon the teacher stopped going leaving the students hanging, during this time i noticed my loan went from 20k to 40k and his to 10k, at the time it was with Salle Mae, then I noticed that i had yet a 2nd loan that i didnt even know about, after 8 months my son left cause they were offering no education, he went on with his life and did not continue his education, his wages were eventually garnished for the 10k, my loan however which i have refused to pay is now $88K for 8 months, what can i do? I would try filing for a Borrower’s Defense to Repayment Discharge against the school. Hi Tim, I was enrolled in Westwood in 2010-2011. I was dismissed as a student and denied to make an appeal, which I was told that I had a right to appeal the school’s decision. In 2012 a representative from the school called me and asked if I was interested in re-enrolling in the school. During the time I wasn’t enrolled I found out that Westwood was being sued by Attorney Generals in other states and their reputation wasn’t what they claimed. I told the representative that I was not interested in re-enrolling because I felt that Westwood had done me wrong and apparently other students felt the same way due to the pending law suits being made against Westwood. My student loans, equaling $42,000+, have been in default and with a collection agency because I refuse to pay. What do I do? Apparently I don’t qualify for the closed school discharge due to 120 day time frame. I moved on with life. I have a full time job and the intent of starting my own business. I have a $42k debt hanging over me and against my credit for one year of “education” from Westwood that hasn’t benefited me at all. The school dismissed me and denied me my right to appeal. I was a student at Westwood College back in 2004 and 2005. I just found out about the lawsuit in Colorado by the Attorney General. I called them and they said the lawsuit is over and I couldn’t get anything to help me pay for a fraudulent school. I withdrew the last quarter because of their bad teachers to recruiters with unworthy words they told me about getting a job. They were lies. They were also an expensive school and $40,000 is a lot of money for one little degree. I sought out jobs and all I could find is part-time temporary at low wages!! I went back to college for computers and a reputable university. Currently, I sent in an application to American Education Services called Loan Discharge Application – School Closure for a school closure discharge and they denied it based on I “withdrew from Westwood College North Denver campus more than 120 days prior to the school closure date”- Letter dated March 12, 2019. Can I apply for the other Loan Discharge Application for fraudulent, lying, and miss conduct of the staff? Never had a job with this degree cause I couldn’t find one to live on let alone feed my family. I am forbearance currently. You should definitely try to pursue a BDAR Discharge, but don’t worry about talking about misconduct of the staff because that won’t help. Focus your explanation on the lies you were told, the promises you were made. Look at my Guide to Getting a Borrower’s Defense Discharge Approved for full details on the sorts of explanations that will help, and make sure to include them in your application! Thanks, I will get er done. I have a list already. Been fighting them since 2006. That’s why I withdrew on the last semester. A waste of money there. I will get back to you when and if something happens. Go to the department of education website and apply for borrower’s defense. Me and many other westwood alumni applied, the more of us ex- westwoodians apply, it will force them to realize something is going on, just like itt tech students/alumni got their loans canceled. Would you agree with me if I said that Sale Mae and Navient are at fault by knowingly lending money to students attending Westwood College? It appears that my other loans with Westwood were through Navient were consolidated to American Educational Services so it’s a 0 balance with Westwood without my knowledge. I still have a $28,993 loan to pay for Westwood. I researched to find out Navient sold their Federal loans to American Educational Service. 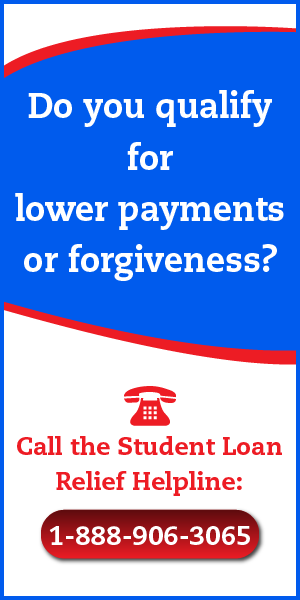 I am still doing research and will be calling the Federal Student Aid Borrower Defense Customer Support line – 1-855-279-6207 to get some answers this Monday since they are not open on the weekends or holidays.